Gandhi Jayanti Every year on October 2, the celebration of Gandhi Jayanti, (Mahatma Gandhi's) Birthday is one of India's important national programs. In order to understand Gandhi's extensive life, we are providing simple and easy words here for the students and small children going to school for various word boundaries and for children of different classes. It can be used by the student for any school competition, essay writing or any other occasion. Gandhi Jayanti is the birth anniversary of Mahatma Gandhi, the father of India's nation. 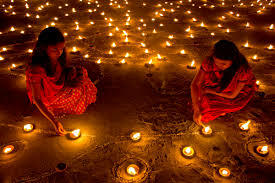 Every year on 2nd October it is celebrated as a national festival throughout India. It is celebrated at school, college, educational institution, government office, community, society, and other places through a lot of purposeful activities. On October 2, the Indian government has been declared as a national holiday. On this day, government offices, schools, colleges, banks etc. are closed all over India and it is celebrated with full enthusiasm and a lot of preparation. Gandhi Jayanti is one of the 3 national holidays (Independence Day and Republic Day). It is celebrated every year on October 2 to pay homage to the Father of the Nation, Mahatma Gandhi. As one of the special festivals, it is believed that due to this, on October 2, the poor workers like liquor sales are strictly banned by the Indian government to show respect to their patriotic leader. 2 October 1869 was the day when this great leader took birth. It is celebrated in all the states and Union territories of India. Celebrating this day is of great importance; On June 15, 2007, the United Nations General Assembly declared October 2 as the International Day for Non-Violence. Gandhi Jayanti is celebrated to honor and remember this national legend, Mahatma Gandhi was a person who struggled throughout his life against the British for the independence of India. The program to be celebrated on 2nd October as a national program throughout India year is the birth anniversary of Gandhi Jayanti, Mahatma Gandhi. It is celebrated as national holiday to honor the Father of India, Mohandas Karamchand Gandhi (popularly known as Bapu). After being declared by the United Nations General Assembly on June 15, 2007, it is celebrated as International Nonviolence Day. Gandhiji was a worshiper of non-violence and he went on his path throughout his life and struggled for the country's independence. Today, Bapu is remembered as a symbol of peace and truth among us. Gandhi Jayanti is a national holiday, so all schools, colleges, government and non-government offices are closed for the whole day. Bapu has presented a wonderful example of plain life and high opinion in front of us and future generations. Because of this, he was always against smoking and drinking because of this, by the government, on the occasion of Gandhi Jayanti, alcohol sales are strictly prohibited for the whole day. He was a patriotic leader who initiated the non-violence movement for the independence of India from the British rule. His role in achieving India's independence is unforgettable. Every year, we pay homage to Gandhiji by remembering all the Gandhi Jayanti, on his birthday, and remembering his work. To mark Mohandas Karamchand Gandhi's birthday, every year on October 2, every year, the national holiday celebrated all over India is Gandhi Jayanti. He is famous as the Father of the Nation and Bapu. This title is not received officially because it is not mentioned in the Constitution of India to give anyone a place in the form of father of the nation. On June 15, 2007, the United Nations General Assembly declared the Birthday of Mahatma Gandhi as the International Day of Non-Violence. Gandhi Jayanti is celebrated as a national holiday throughout India while international non-violence day is celebrated throughout the world. On this day schools and government offices are closed all over the country. It is celebrated in all the states and Union Territories of India. It is celebrated as one of the 3 national programs of India (Swatantra day-15th August, Republic Day-26th January). On Gandhi Smarak (cremation) in New Delhi, it is marked by tribute to government officials at Rajghat, along with some important activities such as prayer service. Other activities such as prayer, gathering, memorial function, drama stage, speech lecture (on the subject of non-violence, praise of peace and Gandhi's efforts in Indian freedom struggle), essay writing, question-answer competition, painting competition, poem Text is in schools, colleges, local government institutions and socio-political institutions. On the day of Gandhi Jayanti, the best performer in any competition is given the best prize. Normally, during the celebration on this day, the most beloved singer of Gandhi, Raghupati Raghav Raja Rama is rendered. Every year Gandhi Jayanti is celebrated as the third important national program. On October 2, it is celebrated by the Indian people of the whole country to pay homage to Mahatma Gandhi on his birthday. Mahatma Gandhi is famous as the Father of the Nation and Bapu. He was a patriot leader and led the whole country of Indian independence movement while walking on the path of non-violence. 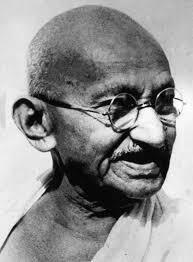 According to him, non-violence and truth are the only weapon to win the fight for freedom from the British rule. He also went to jail several times, though he continued his non-violence movement until the country got its independence. He always believed in social equality, so the untouchability was strongly against. Mahatma Gandhi Jayanti is celebrated by the government officials in New Delhi with great preparation at Gandhiji's Samadhi or Rajghat. Tomb of Rajghat is decorated with flowers and flowers are paid to this great leader. Religious prayers are also kept in the morning at the tomb. It is celebrated in all schools and colleges throughout the country as a special national festival by the students. Students celebrate this festival through question-answer competition, art competition etc., based on dramatic drama, poetry lecture, singing, speech, essay writing and participation in second competition, based on Mahatma Gandhi's life and his work. In his memory, Mahatma Gandhi's most beloved song "Raghupati Raghav Raja Ram" is also sung by the students. On this day, the best performing student is rewarded. He is an inspirational and exemplary person for many political leaders, especially the youth of the country. 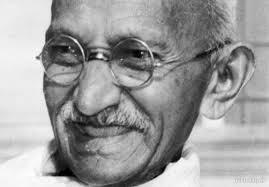 Other great leaders such as Martin Luther King, Nelson Mandela, James Lawson, were inspired by peaceful methods to fight Mahatma Gandhi's non-violence and freedom. Gandhi Jayanti is a national program which is celebrated every year to pay homage to the Father of the Nation. This is also celebrated in the form of International Non-Violence Day in the whole world. On June 15, 2007, the United Nations General Assembly has declared Gandhi Jayanti as International Nonviolence Day. To celebrate the birth day of Mohandas Karamchand Gandhi (born 2 October 1869), Gandhi Jayanti is celebrated as a national holiday throughout the country. Apart from the non-violence movement for their Indian independence, the country's political leaders, as well as native and foreign youth leaders, are also affected. To spread the philosophy of Bapu, trust in non-violence, principles etc. throughout the world, aims to celebrate Gandhi Jayanti as International Non-Violence Day. It is celebrated by the theme based on appropriate activities to increase awareness of the people around the world. Gandhi's birth anniversary involves his contribution to Indian independence and the memorable life of Mahatma Gandhi. He was born in a small coastal city (Porbandar, Gujarat), he devoted his entire life to the country which also affects people in today's modern era. He has done great work for achieving self-sufficiency, removing untouchability from society, eliminating other social evils, improving the economic condition of the farmers, empowering women, etc. To help the Indian people in achieving independence from the British rule, the movement was launched by them in the non-cooperation movement in 1920, Dandi March in 1930 or Salt Satyagraha and Quit India in 1942. For the British to leave India, their Quit India Movement was a form of order. Every year, the whole country is celebrated by the students, teachers, government officials, etc. Gandhi Jayanti is celebrated in a very new way. It is celebrated by the government officials by raising flowers on the Gandhi statue of Rajghat in New Delhi, by singing their favorite devotional song "Ragupati Raghav Raja Ram" and other ritualistic activities. It is one of the three National Holidays (Independence Day and Republic Day Two of the rest of the country) celebrated in schools, colleges, educational institutions, government and non-governmental organizations every year. Schools, colleges, government offices, banks etc. are closed to pay homage to this great leader of India. By celebrating Gandhi Jayanti, we remember Bapu and his great deeds. Students are given a lot of work related to Mahatma Gandhi's life and his work such as poetry or speech lessons, staging dramatics, essay writing, slogan writing, group discussion etc. Civil disobedience means disobedience of civil laws that they do not believe in. Under civil disobedience, movement is done by protesters for their demands. 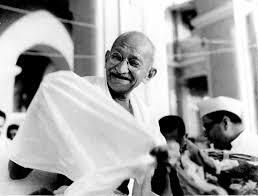 Mahatma Gandhi also peacefully protested against British rule against civil liberties. He made many agitations of civil disobedience against many stringent laws and laws of the English government. It was Gandhiji's disobedience movement that made the British rule realize the combined power of the Indian public and paved the way for the country's independence. Gandhiji used the civil disobedience movement to uproot British rule from India. They believed that the British were successful in governing India, because they got the support of Indians. According to Gandhiji, the British needed to cooperate with the Indians in many economic and business functions besides running the administration. Therefore, Gandhiji appealed to Indian citizens to boycott full English products. Due to the brutal policies of the British government like the Simon Commission and the Rowlett Act, the dream of Mahatma Gandhi's full Swaraj was a deep shock. At the same time, the British government was not in favor of giving Dominion Status to India. Gandhiji had already warned the British government about the opposition to these statements, that if India did not get complete independence, then the British rule would face mass civil disobedience. All these political and social reasons gave rise to the Civil Disobedience Movement. The civil disobedience movement started in 1919 with the non-cooperation movement against Zaliyar Bang Kand. It got great fame after the Salt Satyagraha. We can also call it the beginning of Mahatma Gandhi's Salt Satyagraha or Dandi. This journey of Salt Satyagraha lasted for 26 days, which started on March 12, 1930 and ended on April 6, 1930 in a coastal village of Dandi. This visit of the Salt Satyagraha started with some people but as it progressed, the number of followers also increased. The main purpose of this visit was to oppose the English tax system and to oppose the law of heavy tax on localization and its taxation. This movement was very successful and at the same time, it took the form of a major disobedience movement and the people started making salt in large amounts to challenge the law made by the English government. However, quite a number of people were arrested due to this movement, but this English rule was unable to stop this movement. Due to this movement, the people started opposing English goods and began to give importance to the use of indigenous products. Along with this, people started burning English clothes all over the country and farmers refused to pay taxes to the English government. All these works left the British rule shameless. With this, the people started resigning from the important positions of the English administration to uphold the voice of their opposition to Gandhiji's order. With the people working on teachers, soldiers and important administrative posts, they resigned from their posts to support this movement. At the same time, in the civil disobedience movement of 1930, Apollo took part in the movement, women of every section of the society participated in this Satyagraha movement and began to sell and sell large quantities of salt to give their support. This was seen for the first time when women had participated in such a large number of movement. We can say that as well as moving the foundations of the British rule, this movement also worked to bring together every section of the society. The Civil Disobedience Movement shook the British rule and gave it a big blow at the economic and administrative level. Under this, many product units were also opened for the production of products in India due to the indigenous movement. The boycott of English products affected the imported goods from Britain at a large scale, which reduced the import of English textiles and cigarettes by half. At the same time, the people refused to pay taxes to the government and also started the production of salt, which caused huge damage to the British government financially. Due to this movement, the British government also wondered how to deal with this non-violent and disobedience movement because it was such a movement, in which there was no justification for use of force. This movement forced the British officers to think, they themselves admitted that it was easier for them to fight violent protests rather than non-violent protests. This nonviolent civil disobedience movement attracted the attention of the people internationally to the issue of Indian independence struggle, and introduced the people to these brutal policies of the British rule towards Indians. The movement, which started on August 8, 1942, became the last nail in the casket of the British rule. Thereby, the British finally had to agree to give independence to India after World War II. Civil Disobedience Movement has great importance in India's freedom struggle. It provided a purpose to fight the whole country together. It started with the issue of salt, but on seeing it, it took the form of a national movement against the British rule. The Civil Disobedience Movement was a non-violent movement in which there was no stray of blood, yet it played an important role in the Indian independence struggle. He was Mahatma Gandhi, for which the Indian independence struggle got an international stage and the iron of his determination and will power was accepted by the whole world. He showed the power of the world to the world and explained to the people that not every battle can be won by violence, but also a few drops of blood can be won even after walking on the path of Bahayi Anhisa.